Zoae Spackman started mountain biking in 2003. Since 2015, she’s been a certified mountain bike coach with BICP and, as a mother to 3 boys, the combination has helped shape her into an accommodating and patient instructor. You can find Zoae at Marchnorthwest coaching children and adults while at the same time, leading women’s rides for WMBC JoyRiders – as one of the founders. These fine organizations are located in Bellingham, WA, and focus on boosting skills, building confidence, and connecting riders of all levels with compatible riders to continue their progress. Her favorite groups are the beginners: “No one likes to be left behind or be the last one up the hill. 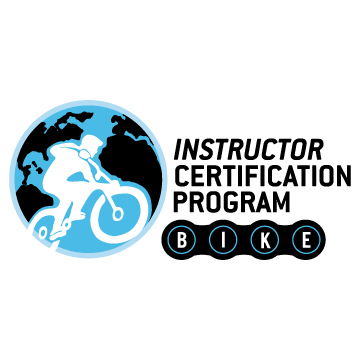 I enjoy giving beginners confidence and support while building skills and trail awareness.” She recommends anyone interested in mountain bike skills instruction look into BICP because “I really appreciate the structure and keywords that BICP uses. It makes explaining the why’s of mountain biking in a clear way“.